Following the working bees in August and the opening of Stapylton Ampitheatre for recreational climber, Summerday Valley has been closed to the general public whilst the area and surrounds is given a little more time to recover. Opening this whole area is still a little way off – December is a month being thrown around at the moment. In the meantime, some Licensed Tour operators have been able to access just the Summerday site in a controlled opening. This allows PV to keep an eye on the impact of users on the area before a general opening. LTO’s are only interested in being able to use the specific site of SDV therefore there is no risk of other areas that are still very fragile, being accessed. In order to allow some recreational climbers to attend the area as well, the VCC has been invited by Parks Victoria to participate in a restricted trial reopening of climbing in Summerday Valley. The club will be running two trips to Summerday Valley in the Mt Stapylton area. As this is a trial reopening for this year, the total number of participants on each trip will also be limited. Many thanks to Parks Victoria for allowing the club to be part of the trial reopening, and for Ross Timms who attended the induction program and Michael O’Reilly our new Club trips Coordinator. Following some information he received from a climber at Mt Arapiles, Kieran Loughran has informed me of two falcon and kestrel nestings at the Mount. As per usual, this is nesting time, and it is hoped that all climbers will respect the birds and give them a wide berth. These are their regular nest sites and have returned once again. Above Cassandra , which is near Flight Deck. They generally nest near the rap anchor area Eurydice on Bard Buttress. When birds are nesting, your presence can impact hugely on their breeding and survival of chicks. It may be annoying that you can’t do the climb you had planned but it will always be there for another day. If you do the climb, there’s a good chance that the Peregrine won’t be there for another day. It’s not worth it. 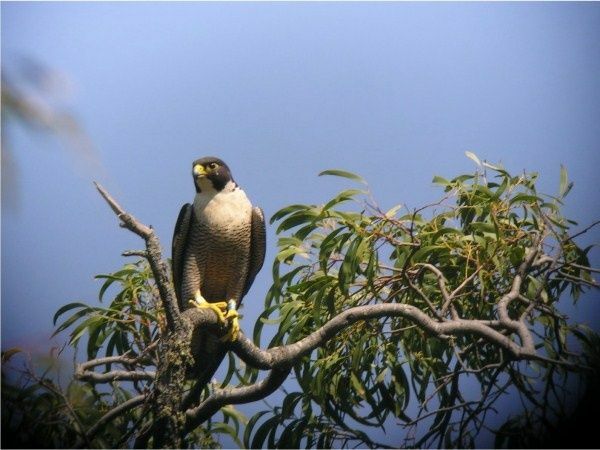 This entry was posted in Access &Environment officer reports, Grampians, Parks Victoria updates & info, Volunteers and tagged access report, cliffcare, closures, falcons, grampians by Tracey. Bookmark the permalink.